From Roses to Rainbows: Fetch Me Some Grog! This is Day 11 of the 2018 edition of the 20 Days of Chill writing challenge hosted by P. J. at A ‘lil HooHaa. Please join us this month on our writing journey. Today's prompt is All for me grog. What is Grog? Originally grog was a drink made with rum and water which came about when the British Admiral Sir Edward Vernon ordered all Naval rum to be watered down. The men, accustomed to drinking their rum straight, were, of course, upset but rather than mutiny, however, they named the watered down rum "Grog" after the Admiral. His nickname was Old Grog from the grogram coat he always wore. Grogram is a coarse fabric made from silk and wool, and stiffened with gum, which seemed particularly fitting for the Admiral. 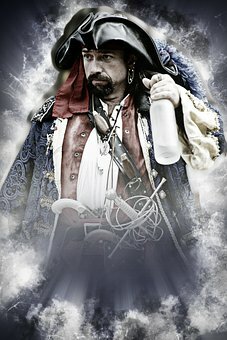 The British Navy wasn't alone in it's fondness for grog; many mariners, including pirates, carried a blend of sugar-water, rum and lime juice to help prevent scurvy. Today grog generally refers to any alcoholic beverage. I did, however, discover a recipe for a drink called grog that contains lime juice, brown sugar, rum and water. You can find the exact recipe at thedrinkblog.com. What is your favorite Grog? Prevents scurvy and tastes good. Win-win! Cheers!